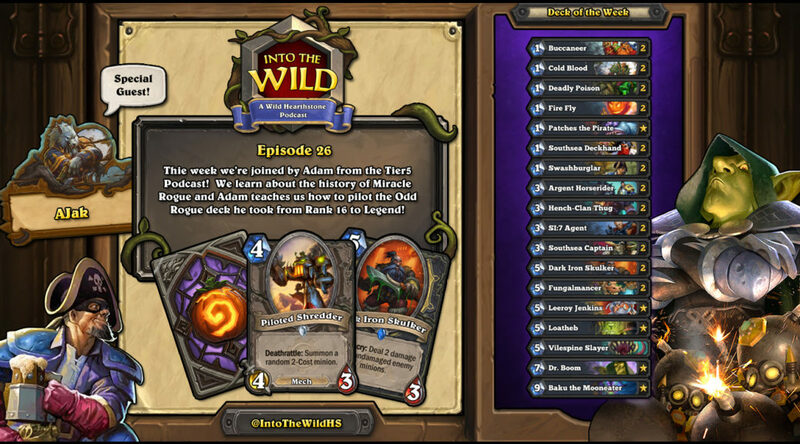 This week we are joined by Adam from Tier5, the only Tier5 member to hit wild legend! We discuss the history of miracle rogue, Rod Johnson, Odd rogue, why wild is awesome and we announce a special giveaway for Patreon members. Also check out episode 26.5 on our patreon! NOW LET’S GET WILD! Previous PostMBF Episode 253 – Man StuffNext PostITW27 – CRAIG HAS A LUNCH BREAK WITH HYLUNG!